Do you desire a highly-capable midsize pickup truck to handle the tough jobs and the rigors of your wilderness adventures? Do you live in Kingston or elsewhere in Eastern Ontario? Check out the phenomenal 2019 Ford Ranger at James Braden Ford! The all-new Ranger delivers on many fronts, with its high-strength and durable structure, robust engine, off-road prowess, high-level utility, and a wide array of premium features. Under the hood of the 2019 Ranger is the robust 2.3-litre EcoBoost I-4 engine. Mated to a 10-speed automatic transmission, it doles out 270 horsepower and 310 lb-ft of torque, with an estimated fuel economy of 11.8 city/9.8 hwy L/100 km. The 2019 Ranger has precise and responsive steering with the electric power-assisted steering, while confident braking comes courtesy of the four-wheel power disc brakes. Do you have serious towing and payload needs? 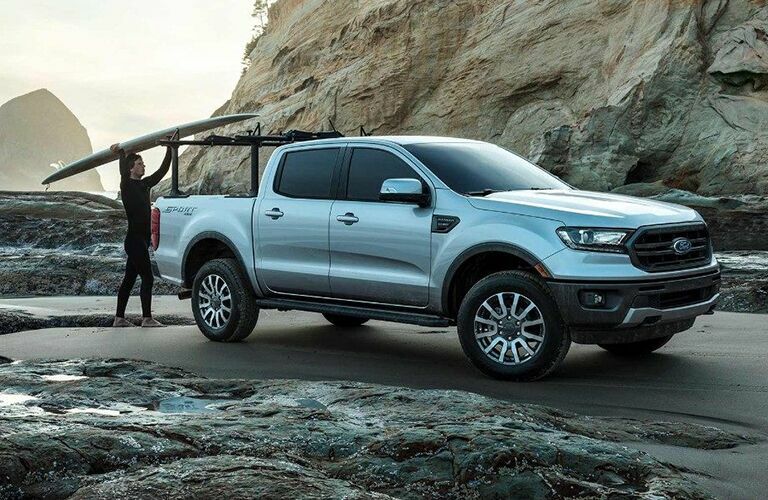 The 2019 Ranger has a maximum towing capacity of 7,500 pounds (3,402 kg) and a maximum payload capacity of 1,860 pounds (844 kg). Are you aiming to head off the beaten path? 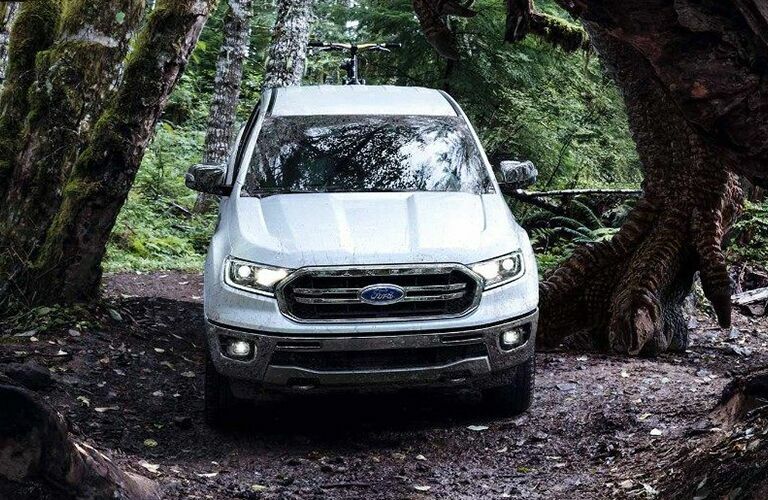 You can conquer the trails with 2019 Ford Ranger. The 4x4 Electronic-Shift-On-the-Fly system provides excellent traction on the most unforgiving terrains, while the Dana AdvanTEK independent front and solid rear axles absorb bumps for a smooth ride. The Terrain Management System has multiple drive modes and a Trail Control feature, which is like cruise control for off-road use. Additional off-road features include the all-terrain tires, a front bash plate, skid plates, and an electronic-locking rear axle. 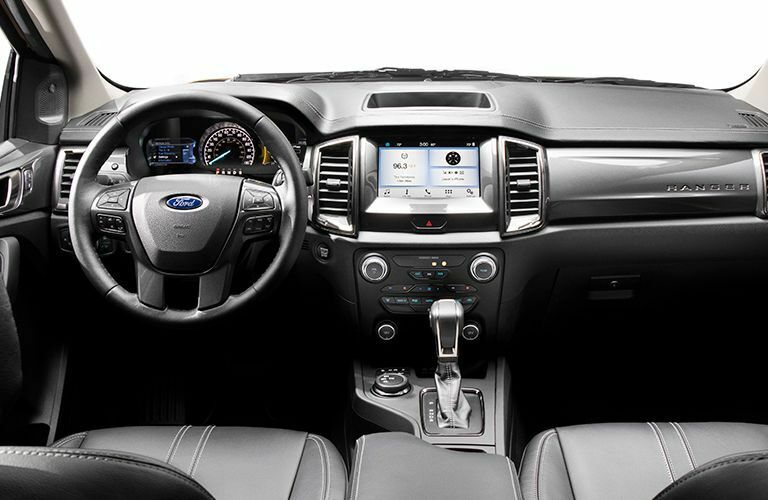 The 2019 Ranger offers many advanced technologies. This includes the SYNC 3 infotainment system, the 10-speaker B&O Sound System by Bang & Olufsen, a 4G Wi-Fi hotspot, Apple CarPlay and Android Auto smartphone integration, HD Radio, and the ability to remotely lock, unlock, and start the vehicle. 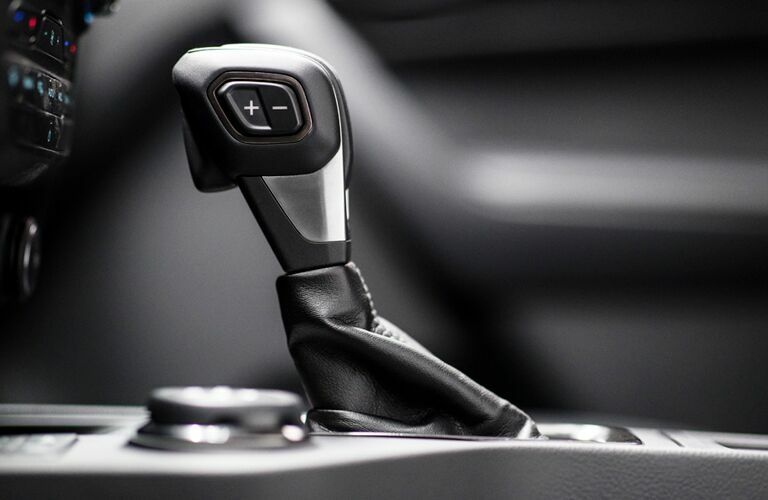 The all-new Ranger also offers many safety-enhancing driving assistance technologies, including Adaptive Cruise Control, the Lane-Keeping System, and Pre-Collision Assist with Automatic Emergency Braking. Visit us at James Braden Ford and take the highly-capable 2019 Ford Ranger for a test drive!